It’s been some time since I wrote about my introduction to minimalism. While I have not abandoned the idea, I've not had time to take more steps towards simplifying my wardrobe. This weekend I vowed to find the time to do a wardrobe detox, and take stock of what I have, what I need and what I want. I want the focus of this post to be around detoxing your wardrobe though (we’ll get to the needs and wants later). As some of you may know, I am completely obsessed with into-mind.com. So naturally I used this guide to assist me with my wardrobe detox. I threw out anything that was broken/holey – I was amazed by how many items I had been holding onto even though they were totally un-wearable. I threw out anything that didn’t fit – within reason. Like a lot of girls I have my skinny wardrobe, clothes I want to fit into again and I know it’s unhealthy but I just can’t bring myself to part with them. I did throw out everything that was too big, stretched or shrunk to the point of being ridiculous (again, surprising large amounts in this pile). I packed away my thick winter wear – spring is here, I won’t need thick jackets, fleece pj’s and thick socks for at least another 8 months. Having my winter wear out of sight has made my wardrobe more streamlined and getting dressed every morning has become much easier. What I am left with is just over 100 items of clothing. This is not minimalism. 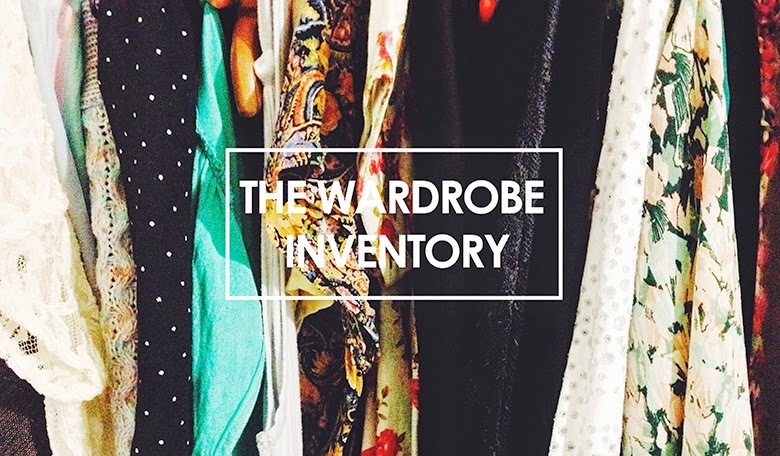 If you are embarking on wardrobe minimalism, I'd love to hear how it's going!